How Video Conferencing can Transform Your Business? One of the main challenges of today’s business is dispersed team and employees over different locations which make the work synchronization difficult. Video conferencing has a dynamic aspect of communication since it allows the members to talk to each other as well as to share the information which was not possible in local meetings previously. This has enabled the employees of an organisation to take faster decision and the delivery or launching of the product has become much simple now. It Saves Time and Money! 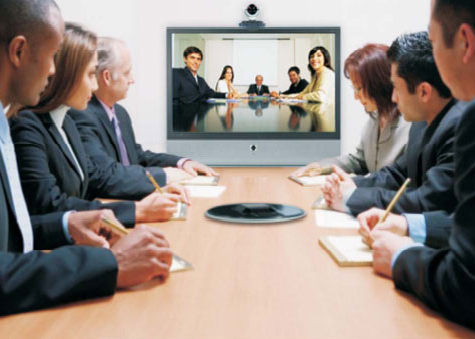 The need for face to face conferencing has been reduced after the introduction of video conferencing. This has reduced time and money needed for travel. People from different countries and time-zone can actually take part in a web-meeting in their convenient time and multiple personnel from different countries can join the same conference from their respective locations. The companies are able to save the travel-cost and hotel fare, which they can utilise for other purposes. Video conferencing enables the attendee to see each others’ body language and facial expression during the meeting, which are important aspect of communication that was missing in telephonic conversation. This technology is also successful in reinforcing the bond between the colleagues and the customers, who are located in the remote areas, and had no chance to meet otherwise. This is definitely a better way of improving business relationship. It is not easy to hire employees from different locations, as hiring process can be very lengthy and expensive. Organisations that have the facility of video conferencing, can conduct the interview over video for the candidates who are distantly located. This will save the time and money required for the arrangement of bringing the candidate to the nearest facility. One can also record the video interviews for later analysis and comparison with other candidates. Increased use of video conferencing technology has reduced the necessity of travel and thus improved the work/life balance. Video conferencing also contributes in employee retention, for example, when the employee wants to leave the company, the HR can have a discussion about his grievance and might try to solve it over the web-conference, if the employee is located in distant office. Video conferencing is obviously an environment-friendly technology that allows less travel and less expense. This tool is a powerful way to build a sustained relationship among the partners, clients and employees of different teams, especially if they are located distantly. The success of a business depends greatly on two things – decision making skills and time taken for executing your solutions. Now this is where the importance of video conferencing lies. For any business, it is essential to have a form of communication that allows you to communicate with your whole team. It is considered worth an investment and that too in the recent globalised economy. Stella Holmes finds interest in reading about video conferencing, rack servers and other computer cabinet accessories. In her free time, she even writes blogs on the latest designs of these accessories.